At DuraStor Structures we offer a variety of portable storage buildings for you to choose from. Choose a building from our “Max” line for maximum quality and features. We have the Lofted Barn Max which gives you lots of overhead storage space or we have the Garden Max which is a very versatile building. 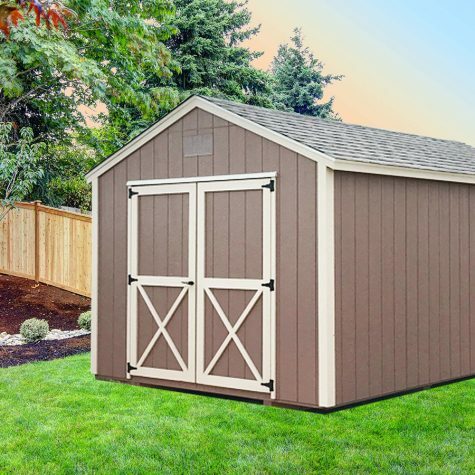 If you don’t need all of the features in a max storage building you might decide to go with our well-built Utility Shed. 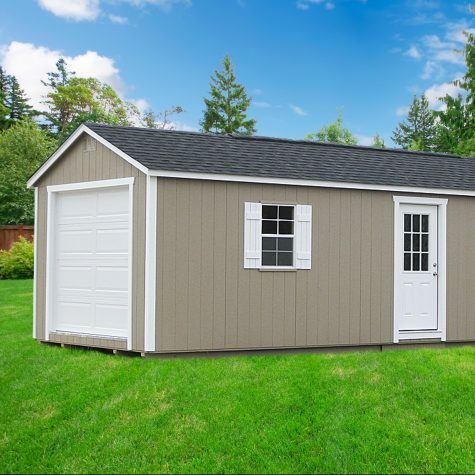 When you need a portable building for something bigger than your lawn mower you can check out our garage selection. 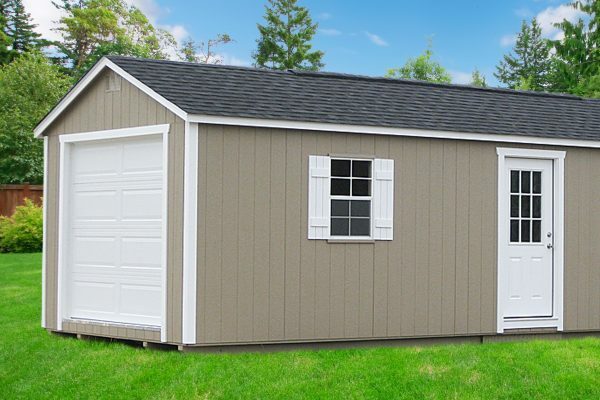 Our garages are heavy duty buildings that feature an overhead door for moving vehicles or larger items in and out of the building. 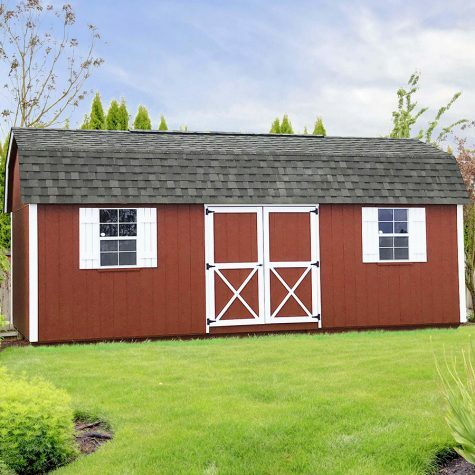 We’re happy to serve our neighbors in Augusta, Macon, Warners Robins, and surrounding areas by offering sheds for sale in GA.
We’ve learned over the years that it pays to build quality outdoor buildings. 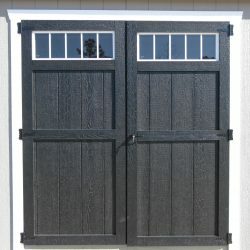 After years of hands on experience in the construction industry, we know what it takes build a storage barn that lasts. 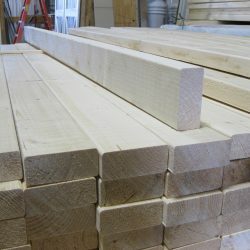 Learn more about the quality features and construction methods that make our prefabricated sheds unique. 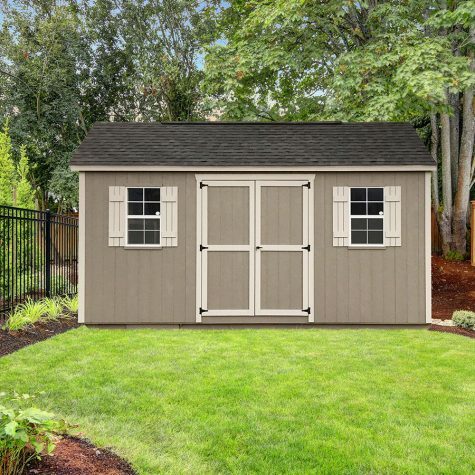 Design your own shed using our 3D builder. If you prefer not to use the builder, you can keep it simple by using our free quote form. 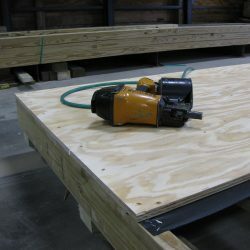 Browse our inventory buildings for a ready-to-go building. Get a hassle free experience and faster shed delivery when you choose from our inventory. Pick up the phone and give us a call to discuss your options and place your order. We’re always happy to answer your questions! DuraStor Structures is family owned and operated by the Strite family in the Dublin- Wrightsville Ga area. 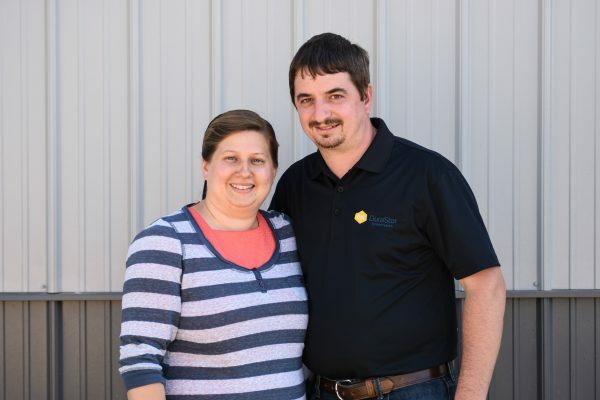 Durrel and his wife Jenny are very family focused and have two sons and foster children. Durrel was raised building storage buildings. He remembers buying the first supplies and helping his dad paint his first building in 1996 and then riding along on the deliveries. Durrel has learned that quality products and excellent customer service will create excellence and set a company apart.